We’re huffing and puffing, at 10,000 feet, in twelve feet of snow. My triathlon training doesn’t seem to be helping here. 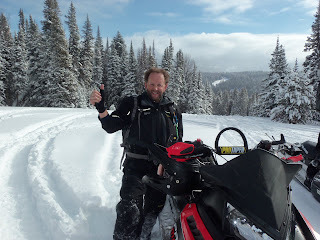 As we gasp for air trying to lift his stuck snowmobile, our understated Wyoming guide calmly proclaims ‘we should try to keep it quiet folks, ‘cause this appears to be a bear den right here.’ Claw marks on surrounding trees drive the point home, and we resume working with silent urgency. 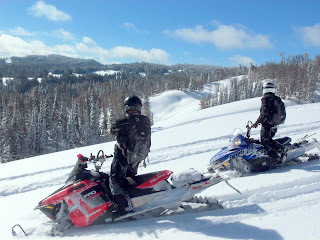 It’s a mid-February boys weekend on the Continental Divide Snowmobile Trail, with Togwotee Mountain Lodge as our base. We’ve come from several different states and backgrounds, with the common denominators of friendship and a love for snowmobiling in the high country. 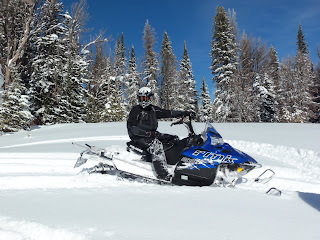 With a couple of decades in the outdoor and snowmobile industries, plus a home in nearby Teton Valley, Idaho, I’ve been here a few times before. There’s no place I’d rather spend a weekend like this. My good friend Jon is the ringleader and trip coordinator. I’ve been working in Park City, Utah for much of the winter, and drive up for the occasion. Andy flies in from Phoenix, packing every piece of insulated clothing he owns, and I pick him up at the Jackson airport. 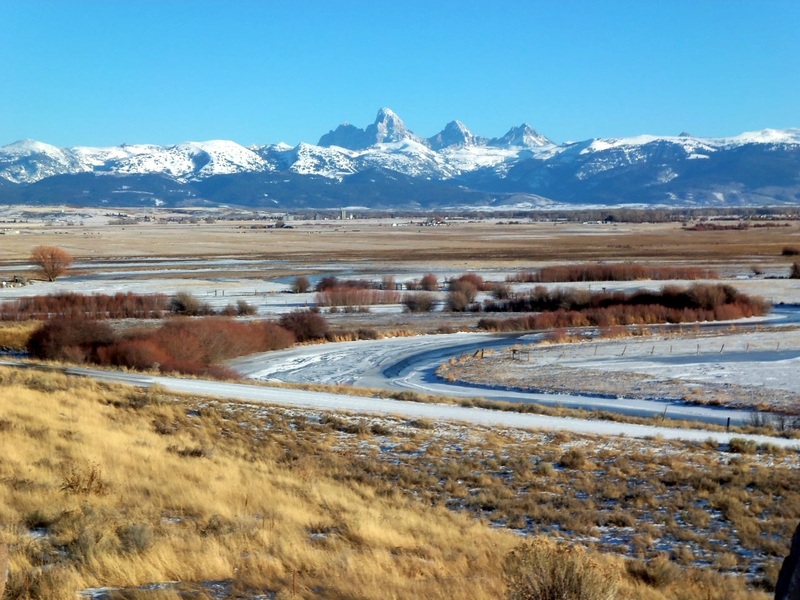 Greg drives from Montana to Driggs, Idaho, where he joins Jon, Mo, and Mike. They load snowmobiles into Mo’s trailer, hook onto Mike’s truck, and roll. We all arrive at Togwotee Lodge within an hour of each other, and kickoff the weekend properly over happy hour. The stories will only get better. The week leading up to our trip was the coldest of the season. Fortuitously, a storm rolled in the day before our visit, replacing below-zero temperatures with two feet of fresh snow and sunshine. 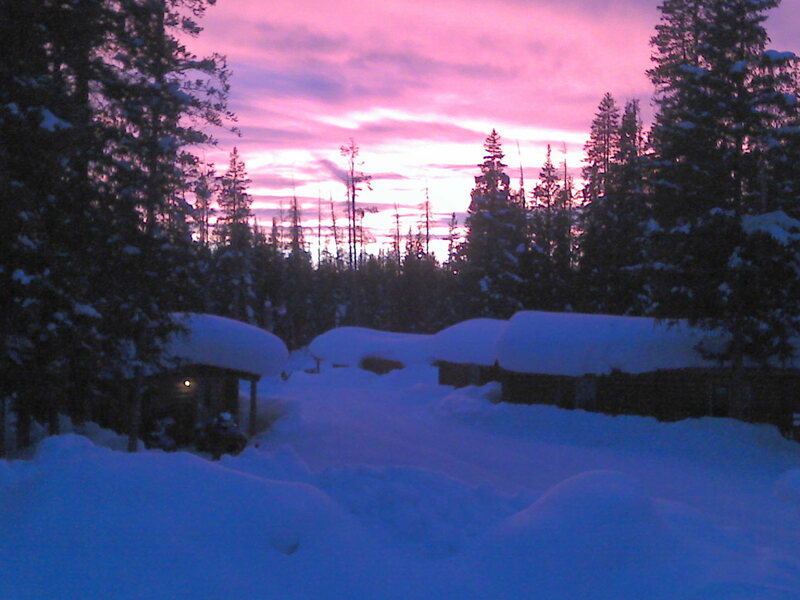 Year-to-date snowfall is at near-record levels, and we’re itching to experience it. The Continental Divide Snowmobile Trail (CDST) comprises over six-hundred miles of continuous groomed riding trails, all in Wyoming. 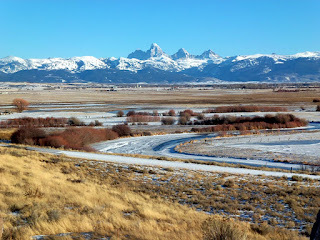 Running from South Pass near Lander on the south, north near Dubois and Pinedale, then onward to Flagg Ranch and the entrance to Yellowstone Park on the north, it bisects some of the wildest terrain in the lower forty-eight states. Endless off-trail riding beckons along the way, and it is truly a powder, hillclimbing, and tree riding paradise. Because of the sheer scale of the area and the frequent whiteout snowstorms, guides are recommended even for experienced riders. 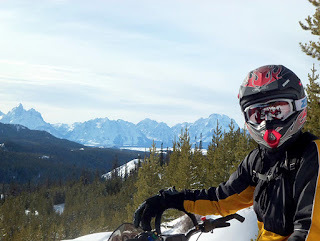 I’ve been riding since childhood, but erratically the last twenty years. My earliest memory is putting an Alouette sled together in the garage with my dad, at age five. 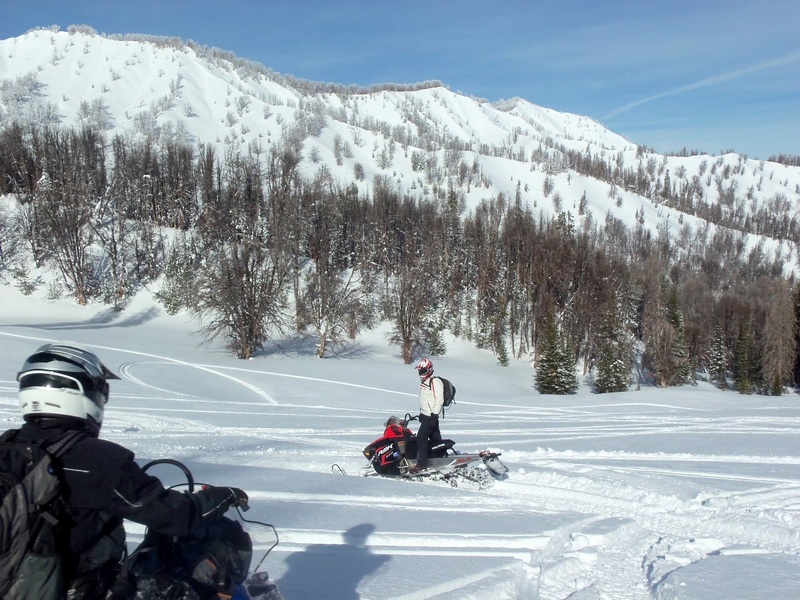 For the next fifteen years, I’d come home from school or work or ball games or dates, and ride up into the northern Utah mountains. My Irish Setter dog Rusty would usually accompany me, and we’d simply sit and think, watching the world go by far below. I still draw from that perspective, and have been drawn to mountain top views ever since. 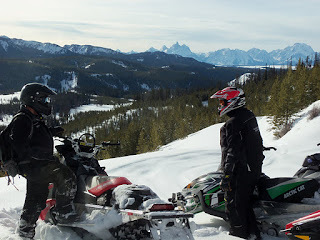 We’ll get plenty of views riding the CDST from Togwotee Lodge. 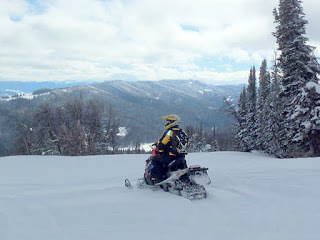 Brent, our guide, quickly sizes us up and leads us into the backcountry. We’re all on 800cc mountain sleds, giving us plenty of power plus aggressive tracks for floatation and climbing in the deep stuff. Snowmobile designs have progressed light years in the past two decades, and the machines today will take you almost anywhere if you handle them correctly. But, when you do get stuck, they are beasts to dig out and move. So, we all immediately perfect the art of getting stuck. Repeatedly. 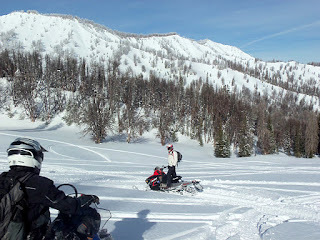 Greg, in particular, masters the method of hillclimbing high above us, trying to eke out the last possible foot of vertical before turning around, only to come up short as his sled sinks into the bottomless powder. We all stand and watch him struggle from below, clapping and shouting encouragement. To try and join him would only compound the problem, trigger avalanches, and make us really tired. We’re here to ride. About 90% of our riding for the day is off-trail. We cover a total of 65 miles, nominal by snowmobile standards, but amass a respectable 50,000 cumulative vertical feet of climbing. 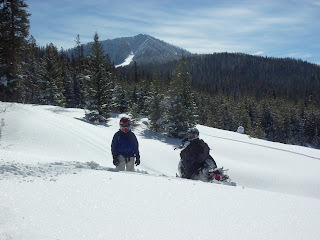 Through it all, we’re never more than about fifteen linear miles from the lodge. Grouse Mountain serves as the hub for most of our riding, and provides stunning, unimpeded Teton Views to the southwest. We ride up, down, around, beside, and with the mountain all day. The upper reaches feature spacious untracked meadows, challenging hillclimbs, and perfect spots for continental divide views and profound conversation breaks. Energizer Jon never stops. Mo finds the flow. 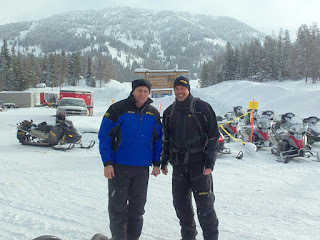 Mike shares good Idaho tales, and Andy seems to be handling the cold just fine. I savor the vistas, and think about Rusty. As the afternoon fades and we begin riding back towards the lodge, Brent leads us down a ravine much like several others we’ve successfully navigated today. This time, however, a preponderance of deadfall makes the route tricky. At one point, we wait while he crosses over and explores. Attempting to return, he buries his sled at the mouth of the bear den. The prospect of waking a sleeping grizzly, combined with the fact that happy hour is rapidly approaching, infuses our work with purpose. We make it back to the lodge for hard-earned beverages, enjoy a tasty dinner in the appropriately named Grizzly Grill, and seal the day with a nightcap or two while recounting the adventures. Walking back to our cabins for the night, we laugh, brag, and cajole like six middle aged kids. The Milky Way is so vivid we feel like a part of it, and the world goes by someplace else, far below. 2012 has started off a little light on snow here in Driggs, Idaho. Persistent high pressure has made for some beautiful bluebird days, but snow enthusiasts are ready for Mother Nature to turn on the snow machine. It will come, soon. 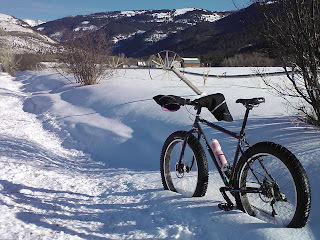 So far, it's been the Year of the Snowbike. Minimal snowpack + cold night﻿s = firm trails. I took this photo last Friday afternoon on my way up nearby Darby Canyon. It's a multi-use canyon road during the winter, with snowmobiling, nordic skiing, snowshoeing, snowbiking, and anything else you can dream up. Farms adjoining foothills near the canyon's mouth make for a unique setting. 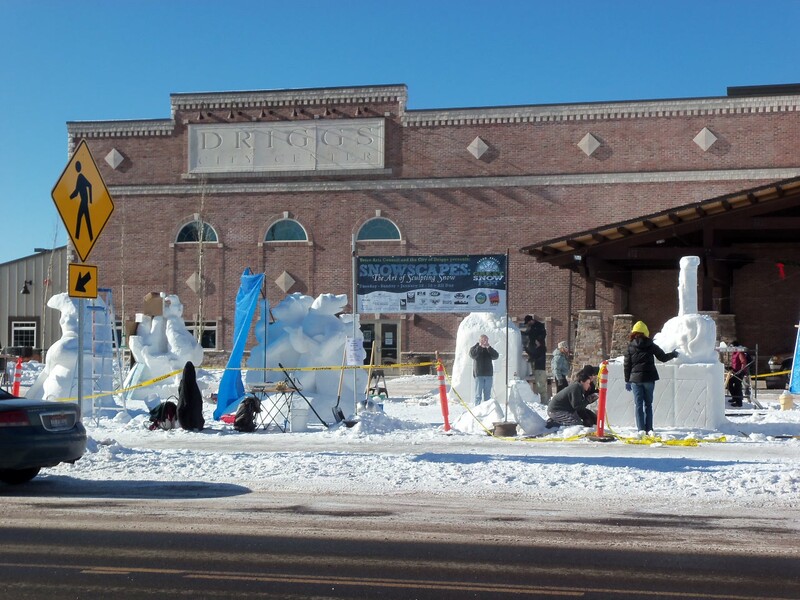 This past weekend was the first annual Teton Valley Snowfest. Events included Skijoring, a Snowbike race, Nordic Ski Race, Concerts, Ice Sculptures, Luge, Snow Plane demos, and more. It was a great success, with people attending from all over the west, and should only continue to grow. 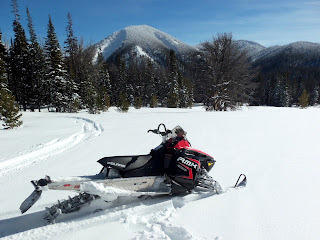 In a year where many places haven't had any snow or winter to speak of, we still managed to put on a great show here in Driggs. I love this scene, near the mouth of Fox Creek canyon﻿. 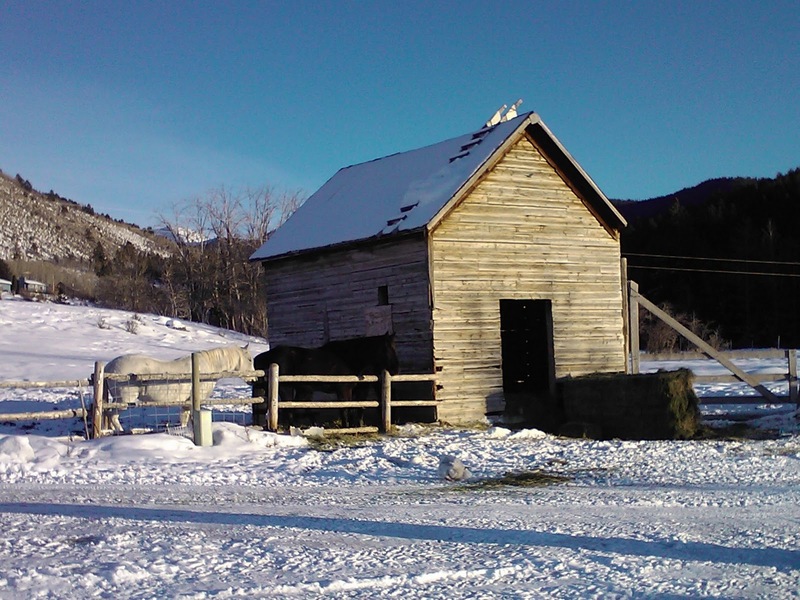 A classic old Teton Valley barn, with horses and winter hay at the foot of the mountains. Deer and Elk haven't moved down from the hills yet, but I'm sure we'll be seeing them by the hay barn soon.